Most parents have involved schedules and thus spend very little time with their children. That makes children addicted to screens especially the TV, computer screens, phones and video games. However, these gadgets expose these children to serious medical implications which are quite challenging. The Good news is that the Sunbury Chiropractor can assist your child in handling such issues when they occur. During most school holidays a majority of children find themselves indoors; the TV becomes their only source of entertainment because the playing grounds have been taken over by huge development projects. In a bid to salvage their children from hazardous playing along with the streets, parents are encouraging them to stay indoors. Regardless of these parents should strive to get their children off the screen and encourage them to do physical activities. 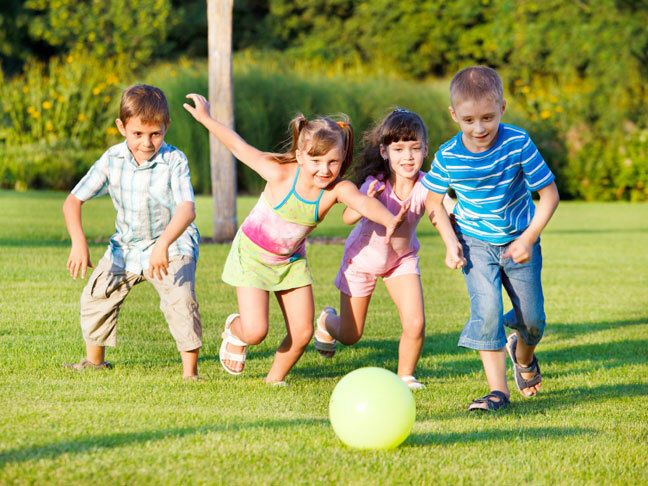 Regular physical activity ensures that the child maintains a healthy and balanced weight. This will aid in having a healthy heart. A child who is physically active will have strong bones; physical activity ensures that children maintain strong bones and also aids in developing strong muscles. Physical activity aids to maintain healthy blood pressure; perfect for reducing stress levels which might lead to high blood pressure. Being physically active is associated with being emotionally healthy. Exercise and physical activity release certain chemicals in our bodies which are associated with being happy and maintaining a healthy emotional state. Inactivity also causes mental depression in children. Physical activity aids in maintaining healthy lungs in children. This is because it assists in aiding healthy lung capacity. Subsequently, the body’s lung capacity is increased; this boosts the strength of the lungs. That ensures that adequate air is circulated in the body and the waste products are expelled efficiently. The child might develop obesity: sitting and staring at screens for long periods of time means that your child will not utilize the carbohydrates that they consume. That will automatically turn into fats which will be stored in the body eventually causing obesity in the child. Lack of physical activity is detrimental to your child’s psychological health. Besides when children play they develop vital skills such as problem-solving and they also become innovative. These skills might prove to be handy when they become adults. Lack of physical activity hinders development growth in children. Play and physical activity promote healthy sleep in children. Subsequently, the child becomes strong and lack of it results in poor health and the children lack appetite, this leads to depression in children. Lack of physical activity leads to a host of physical health issues in children such as neck problems, posture issues, back and spinal cord issues, knee issues among others. Sunbury chiropractor have qualified and professional who will assist you in case of any problem proficiently.